Perfect Fashion Icon: The Duchess of Cambridge. Always on point with her fashion, dressing appropriately for every occasion and not afraid to recycle things from her wardrobe, I truly admire her class and style. Perfect Activity for Relaxation: Yoga. I’m terrible at it, but I’m determined to perfect downward dog. Someday. For Seattle blogger Payton James, life is all about trying to achieve perfection. Payton is determined to be her best self in all areas, and she refuses to rest until she achieves it. 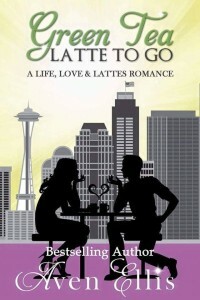 However, an imperfect moment in a coffee shop completely changes Payton’s life. When her drink order gets switched by mistake, Payton finds herself face-to-face with a gorgeous British man named Brooks. Payton is instantly attracted to the witty stranger who is quick with his words—and has a beautiful smile. Brooks is an exotic veterinarian with a huge passion for animals. Heartache in his past has led him to focusing on his career out of fear of getting hurt again. But there’s something about Payton that makes this vet want to know more about the bubbly blogger he has met via fate—and has him reconsidering his stance on love. But will Brooks ever be free of his fears to truly open his heart? And will Payton’s drive for perfection cost her the one thing she loves most? Or will she learn to embrace imperfections? And maybe perfect is the one thing Payton doesn’t want after all . . .